It's important to upload a log manually and let Microsoft Cloud App Security parse it before trying to use the automatic log collector. For information on how the log collector works and the expected log format, see Using traffic logs for Cloud Discovery. If you don't have a log yet and you want to see an example of what your log should look like, download a sample log file. Follow the procedure below to see what your log should look like. Collect log files from your firewall and proxy, through which users in your organization access the Internet. Make sure to gather logs during times of peak traffic that are representative of all user activity in your organization. In the Cloud App Security portal, click on Discover then Create snapshot report. Select the Data source from which you want to upload the log files. Verify your log format to make sure that it's formatted properly according to the sample log you can download. Click View and verify then Download sample log. Compare your log with the sample provided to make sure it's compatible. The FTP sample format is supported in snapshots and automated upload while syslog is supported in automated upload only. Downloading a sample log will download a sample FTP log. Choose the traffic logs that you want to upload. You can upload up to 20 files at once. Compressed and zipped files are also supported. After upload completes, the status message will appear at the top right corner of your screen letting you know that your log was successfully uploaded. After you upload your log files, it will take some time for them to be parsed and analyzed. After processing of your log files completes, you'll receive an email to notify you that it's done. 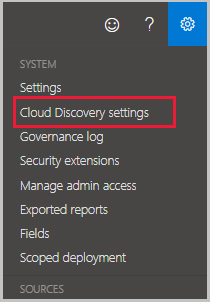 A notification banner will appear in the status bar at the top of the Cloud Discovery dashboard. The banner updates you with the processing status of your log files. After the logs are uploaded successfully, you should see a notification letting you know that the log file processing completed successfully. At this point, you can view the report either by clicking the link in the status bar, or by going to the Settings cog and selecting Cloud Discovery settings. 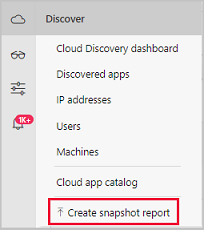 Then selecting Snapshot reports and select your snapshot report. 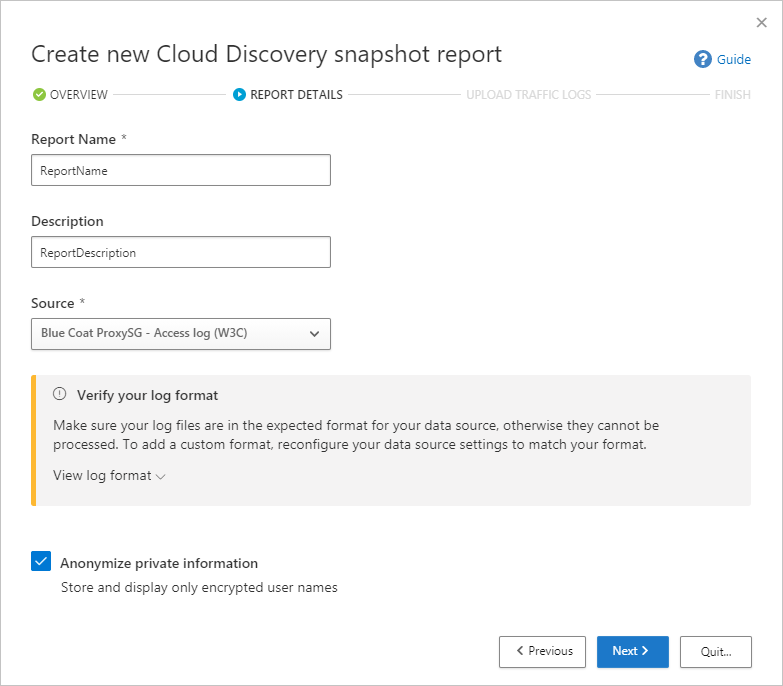 Cloud Discovery can't show or analyze attributes that aren't included in your logs. For example, Cisco ASA Firewall standard log format doesn't have the number of uploaded bytes per transaction, Username, and Target URL (only target IP). Therefore, these attributes will not be shown in Cloud Discovery data for these logs, and the visibility into the cloud apps will be limited. For Cisco ASA firewalls, it is necessary to set the information level to 6. 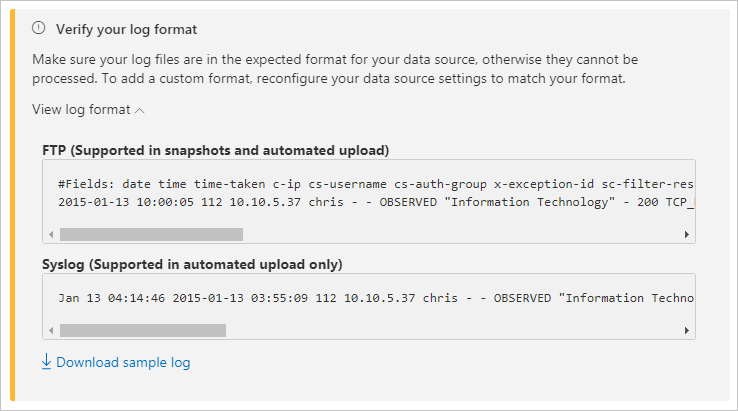 Log format matches the expected standard format (format checked upon upload by the Log tool). Events aren't more than 90 days old. The log file is valid and includes outbound traffic information.